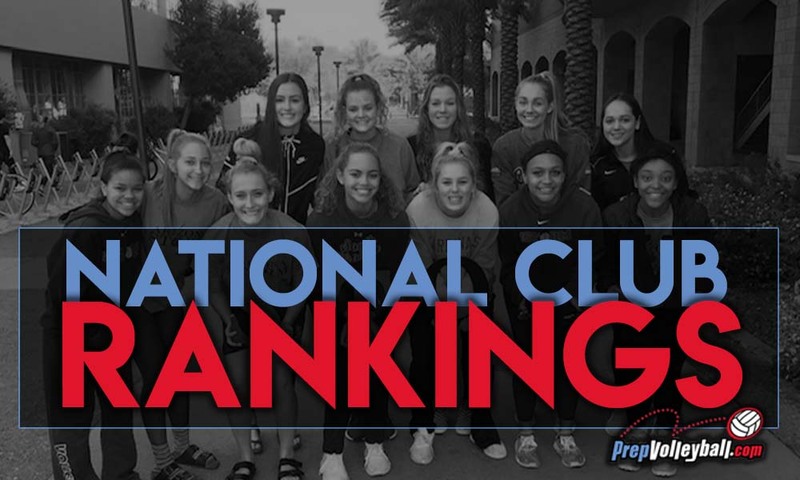 PrepVolleyball.com updates its pre-season 18s rankings just 10 days after the initial rankings were released as part of its commitment to release one new national ranking every week during the 2019 club season. To create this ranking, we examined results from the Northern Lights Qualifier in Omaha last weekend as well as sporadic play from around the country then formulated a draft list for review by our 300-coach strong Club Rankings Team. Finally, we invited the coaches of teams in our top 80 to contribute one interesting fact about their squads. Below is the final product of all that collaboration.